As the administrator for Greg Garber Hardwood Floors I am the first person you reach when calling us and I am so sad when I receive a call like this. 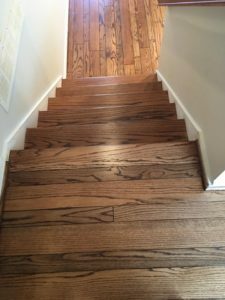 These clients had used us for a project several years ago and for this project chose to use their general contractors recommendation. They called us after the job was completed because the floor finish was “peeling” in several places. Greg went out to check on the situation and “yes” the new floor finish was “peeling” in several places. 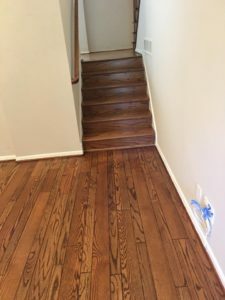 The only solution was to sand everything to raw wood, stain it again, give the stain the proper amount of time for drying and then apply the finish. This mistake unfortunately cost the homeowner $6500.00 and could have been avoided by allowing the stain to dry sufficiently before applying the finish. We then used a Dura Seal stain and three coats of Duraclear poly to complete the floor. This gave the homeowners the result they wanted. 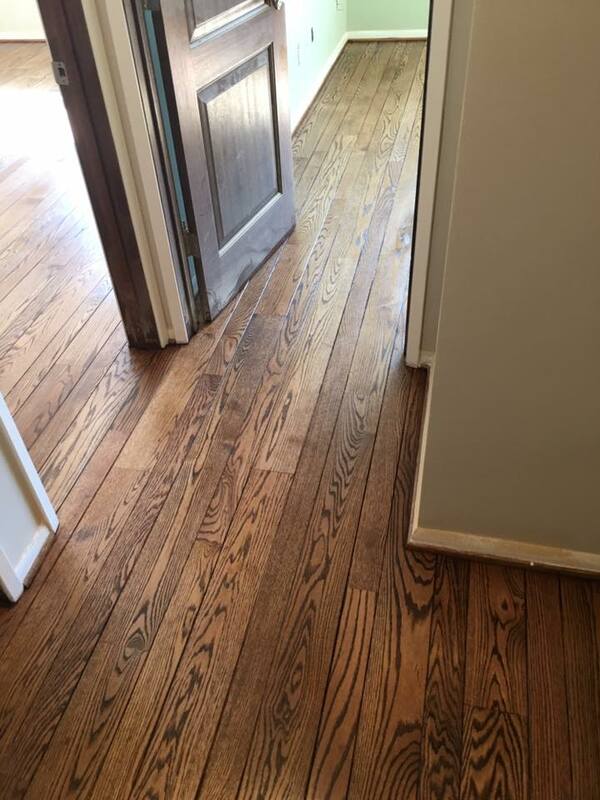 These pictures reflect the beauty of this floor once we corrected the damage. 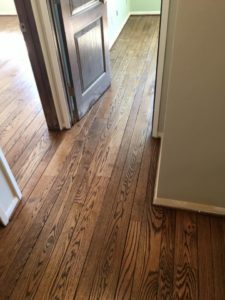 It’s very discouraging when we are called out to redo work of another flooring company. Be careful about who you chose, there is nothing more expensive than hiring the wrong technicians.